INDUSTRY.co.id - United States - One of the singers of One Direction boygroup, Zayn Malik admitted that he was interested in penetrating the world of acting. That he revealed through the interview with Femalefirst some time ago. Zayn said, if the opportunity comes, he will follow in the footsteps of his former colleagues in One Direction, Harry Styles who had already plunged the acting world. "Never say no. I would be interested in acting. It's always been something I do, even when I'm growing up, "the 'Pillow Talk' singer said. Known indeed, former colleague Zayn Malik, Harry Styles made his acting debut when he played the movie Dunkirk in 2017 yesterday. 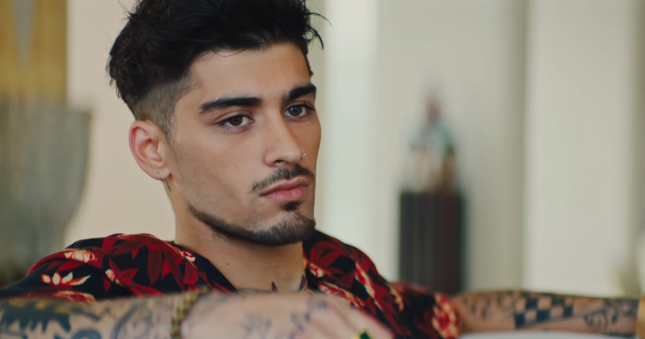 Zayn himself has never received an offer to play a movie, but he had already shown his potential in his latest video clip entitled 'Let Me' which he released some time ago.